Give your baby a happy and caring bath with this Baby Shampoo. It softens your babies hair and helps you manage them better. 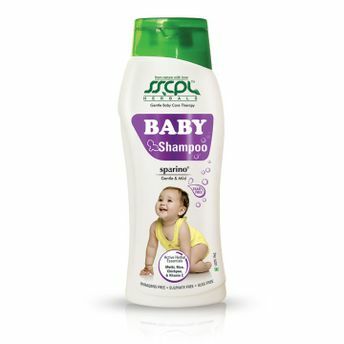 This extremely mild shampoo keeps your Baby's hair free from dryness and irritation. Paraben Free, Sulphate Free, SLES Free. Explore the entire range of Bath Time available on Nykaa. Shop more SSCPL Herbals products here.You can browse through the complete world of SSCPL Herbals Bath Time .Alternatively, you can also find many more products from the SSCPL Herbals Sparino Baby Shampoo range.